This spacious walk in polytunnel greenhouse from Outsunny helps you create your very own garden. 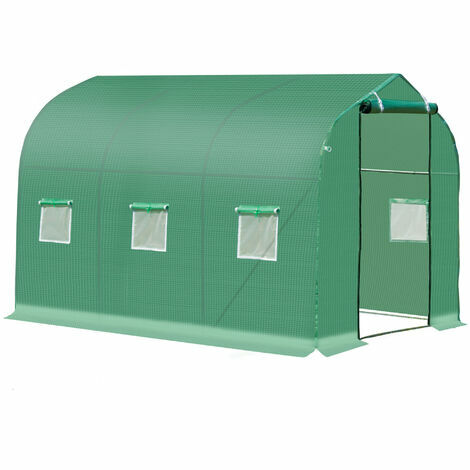 Made from durable steel frame with PE cloth to protect your plants, fruits and vegetables against unsuitable weather. It is created to provide desired temperature, humidity and sunlight to your plants. Roll up windows and zip door allow ease of access and optimum protection from birds and pests.